I need to clear inventory. 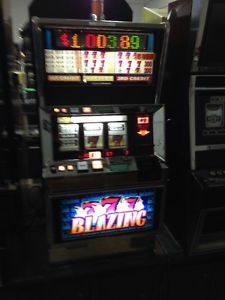 I am selling a Bally $.10 “3 Line” slot machine. It seems to be in good condition and functions. 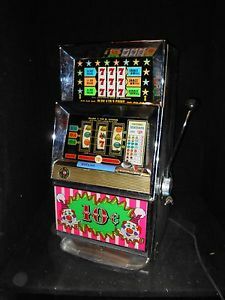 It may need some final adjusting but it does seem to play and pay correctly. 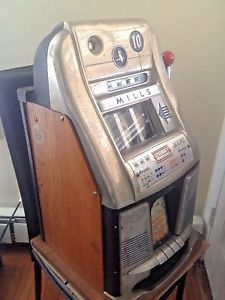 I have not shopped it out but it does play. The machine is manufactured in the early to Mid 70’s so it is legal in this state and many more. I am selling the item as to be picked up since I find them difficult to ship. 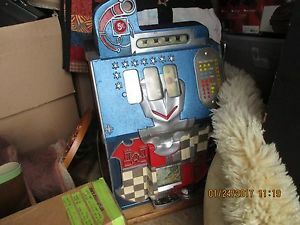 I can also deliver the item to the Chicagoland Slot Machine and Jukebox show in St. Charles for the April show. A deposit at least will be required for this option. 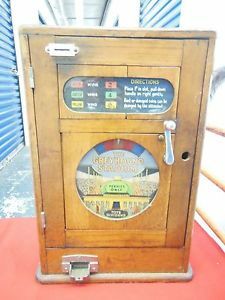 I know Bally machines are not the collectors dream but it is not often that unusual machines like this one come up for sale. This one as you can hopefully see is in good condition and will make a great addition to any room. 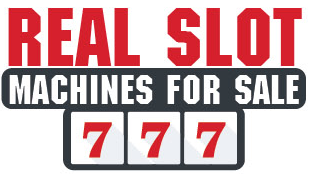 The machine is approx. 16″ wide (The handle comes out about another 5″) approx.. 20″ deep and approx. 34″ tall. I am unsure of the weight but know it does weigh a few pounds. I am selling the item “AS IS” but it appears complete. If you have any other questions or need more information please let me know. I am listing this item on other sites and reserve the right to end this auction if no offers are open.